With the composite decking market only a few years old and market demand heating up quickly, TimberTech utilized their full-scale wood and plastic blending system to enter the alternative decking market in 1997. Initially established in Columbus, Ohio, TimberTech moved in 2000 to Wilmington, Ohio into an exclusive manufacturing facility. Over the next few years, TimberTech’s innovations progressed from its first tongue-and-groove decking planks to 2x6 planks in 1998, to deck boards sized to compete with traditional 5/4 boards in 2001. In that same year, deck color options expanded and the cornerstone of innovation that TimberTech is known for had been firmly established. 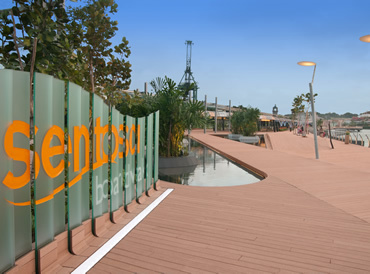 In 2003, TimberTech introduced TwinFinish, a two-sided decking plank that provided different aesthetic finishes on each side. This product soon become an industry leading deck plank and helped fuel TimberTech’s growth with strong product sales over the next 10 years. However, it wasn’t just decking that fueled TimberTech’s vision of innovation. As a natural complement to decking, TimberTech introduced Ornamental Railing in 2002 as the first kitted composite railing system. Introduced in 2005, RadianceRail became the contractor’s preferred railing for its easy installation and great looks. 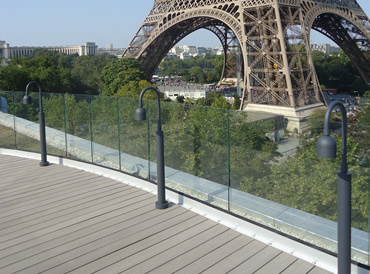 This award winning line of railing was also the first composite railing to be available in Black. Additional railing lines, RadianceRail Express, EvolutionsRail Contemporary and EvolutionsRail Builder, were then developed to meet contractor need, consumer demand, and complement further advances that were taking place within TimberTech decking. 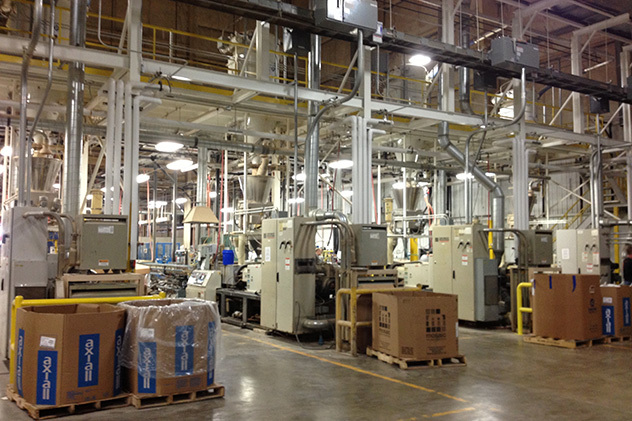 In 2004, TimberTech expanded its Wilmington manufacturing facility and added a facility in Columbus Ohio, to focus on RadianceRail manufacturing. TimberTech had the room to grow and, in 2008, TimberTech expanded their deck manufacturing expertise beyond composite decking and developed a PVC deck board, TimberTech’s XLM. That innovation was followed by the introduction of capped composite decking which reinvented the decking world. With its industry first 30-year fade and stain warranty, TimberTech’s capped composite decking debuted in 2011 and remains a perennial favorite for contractors and homeowners who enjoy its rugged good looks and lasting durability. In addition to deck and rail, through the years, TimberTech consistently introduced products that drew rave reviews for ingenuity from the contractor community such as DrySpace, CONCEALoc®, and DeckLites®, the first fully integrated lighting system designed by decking experts. These are just a few of those TimberTech products that remain popular after nearly a decade of performance. Today, the TimberTech brand, synonymous with quality, is recognized worldwide as the decking pioneer who continues to raise the bar on decking and railing. And, with nearly two decades of roots firmly planted in outdoor innovation, there appears no need to change this successful formula. Evaluate your interior spaces, along with your home’s architecture, when making decking, railing, and accessory decisions to ensure your space fits your home style and lifestyle. Try our new new deck designer to design your dream deck in real time from your browser and watch it come to life in 3D. When you choose TimberTech®, you're investing in your home. That's why we offer you free catalogs, so you can be sure to select the products that are right for you. For information about TimberTech’s international business, representatives and distribution partners outside of the United States, please contact Christian Stock, Vice President International Sales & Marketing.